TTigard is a clean, livable and affordable community located just minutes southwest of Portland in Washington County. 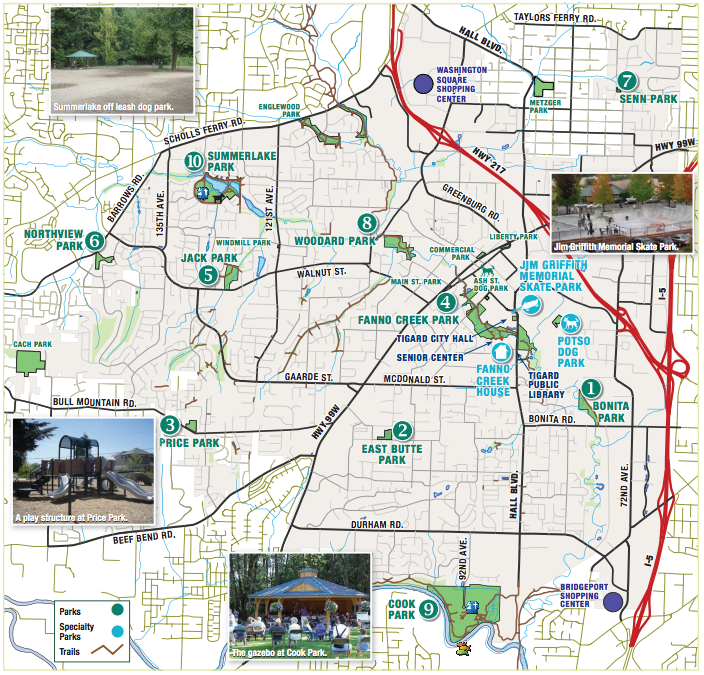 As a community, Tigard strives to blend the amenities of a modern city with the friendliness and community spirit of a small town but has several major shopping/dining/entertainment centers – Washington Square and Bridgeport Village. Divided into 13 geographic areas around elementary schools and major transportation routes, each neighborhood has an assigned area number, 1-13. Some of the neighborhoods carry unofficial names, for instance Area 2 is often called Summerlake after Summerlake Park. Washington Square is the area’s largest shopping mall and offers indoor shopping at over 200 boutique and well known retailers. Located at 9585 SW Washington Square Rd, Tigard. Bridgeport Village is an outdoor village shopping area with numerous boutiques and well kown retailers, restaurants, and an 18 theater cinema. Located at 7455 SW Bridgeport Rd, Tigard. 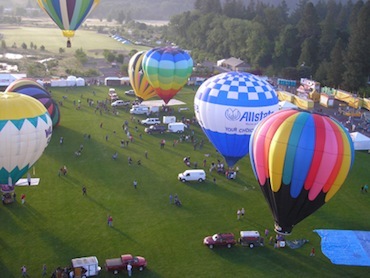 Festival of Balloons is a non-profit organization raising funds for many non-profit groups in Tigard while providing a premier family event for the entire community. Weekend festival event include a carnival, craft and commercial exhibitors, good food, Twilight 5K run, GameTime fun zone, Festival of Cars, youth soccer tournament, rib and corn eating contest, Rogue beer and of course morning hot air balloon launches! Get to Cook Park EARLY (5:45 am – 6:15 am) each morning to experience the spectacular hot air balloons as they launch (weather permitting) and dot the morning sky. Tigard is home to the Deb Fennel Auditorium which hosts the professional Broadway Rose Theatre during the summer. Broadway Rose now has a permanent venue for spring, fall and winter productions in their new 270-seat facility located at 12850 SW Grant Ave., Tigard. The city of Tigard falls mostly under the jurisdiction of the Tigard-Tualatin School District, however some of the northwestern most part of the city falls under the jurisdiction of the Beaverton School District. The Tigard-Tualatin School District contains 10 elementary schools, 3 middle schools, and 2 high schools.